A day after API’s estimate of a 7.13-million-barrel draw in U.S. oil inventories led benchmark prices higher, the EIA added to bullishness by reporting inventory figures largely in line with API’s: it calculated an inventory decline of 5.7 million barrels for the week to October 13. At 456.5 million barrels, the authority said, crude oil inventories were within the upper limit of the seasonal average, and they have been within these limits for more than a month now, which should serve to quench—to some extent—worries about an oversupply situation. In gasoline, news was not so good. The EIA reported an average daily gasoline production rate of 10 million barrels with inventories up by 900,000 barrels. The API had estimated these were up by 1.94 million barrels, versus analyst expectations for a draw. 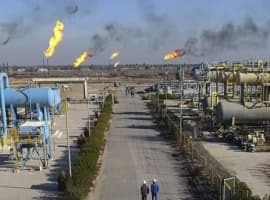 Meanwhile, prices have been getting a lot of support from events in the Middle East, where Iraqi troops have been fighting with Kurdish forces to reclaim control over the northern city of Kirkuk – the center of the regional oil industry surrounded by an abundance of oil wells that currently produce more than half a million barrels of crude daily. 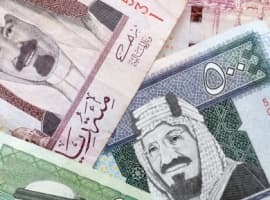 If this is the end of the fighting, oil prices will lose a strong tailwind amid mixed signals coming from OPEC officials with regard to the possible extension of the November 2016 crude oil production cut agreement. The fate of the agreement may be decided at the November 30th meeting of the cartel in Vienna, although the possibility of the decision being delayed until early 2018 has been bandied about. 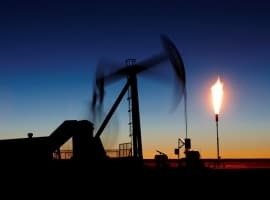 Separately, fresh estimates of U.S. shale oil production growth and lower OPEC production-cut compliance continue to exert pressure on prices. The EIA earlier this week estimated that U.S. production will rise by 340,000 bpd in the second half of 2017 from the first, to average 9.4 million bpd. The combination of all these factors is sure to keep the oil markets jittery, with EIA weekly reports only adding to the volatility. so....US exported 1.758 million barrels a day...Gulf mostly shut down last week so affect 1.0 million barrels a day...mmm that isnt much of draw if you do the math. Both distillates and gasoline inventories up... Cushing also had a build...compare it to last year.... All in all seems very bearish -- way to much product.